Vault of Light: Day Four. WoW Blogging Challenge - Your best WoW memory. Day Four. WoW Blogging Challenge - Your best WoW memory. It's been a while since I wrote a post for the Soulbound - 20 days of WoW Blogging challenge - hell it's been a while since I blogged full stop! If you follow me on Twitter then you'll know that I've spent the past few weeks bitching and moaning about toothache in a lot of pain thanks to an abscess in my tooth. Thankfully the pain has gone and everything is getting back to normal. I was unable to play WoW other than logging in to do a few daily quests from time to time because WoW simply couldn't hold my attention though the pain and frustration. We're onto part four of the challenge - Your best WoW memory. 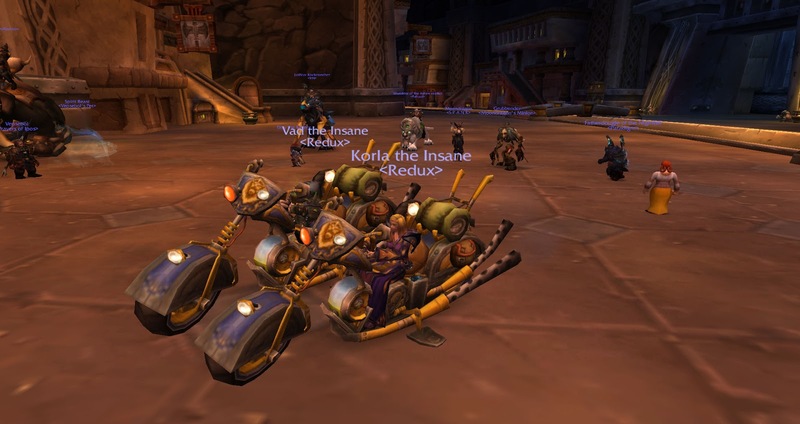 I've been playing WoW for so long, I've met some incredible people and have had such a great time over the years that it's hard to pinpoint one isolated favorite memory. I can say with no uncertainty that Wrath of the Lich King was my favourite expansion for many reasons. With better knowledge of the game as well as a better understanding of my own class behind me. A better computer than I had previously played on during Vanilla and The Burning Crusade and a bunch of degenerates I called friends I was able to beat what was at the time current content. I was unable to raid anything past Karazhan during BC due to technical issues so I only got to see most of the BC raids during the Wrath of the Lich King expansion. One thing I accomplished during Wrath of the Lich King is certainly one of my most favourited WoW memories, not only because of the act it's self but with whom I accomplished it with. It's also how I got here. I've always liked reputation grinds but when the feat of strength Insane in the Membrane was released I shied away from it. It seemed like far too much. It literally sounded insane! A really good friend had just returned to WoW after a long break and he knew he wanted to get the title. I offered to help him out in anyway that I could. I started the initial reputation grind with him for Raveholdt which involved killing Syndicate mobs until honoured but I figured two people doing it was faster than him doing it alone. That was my downfall, the beginning. 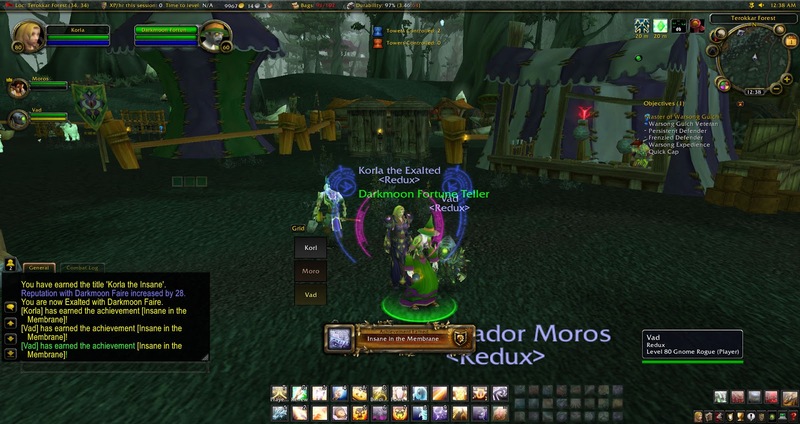 Over the next couple of weeks I leveled a Rogue of my own as the only way to get additional rep with Ravenholdt is to hand in lockboxes which you pickpocket off of level 60 mobs. As Vad didn't have his own character with Inscription he'd send me herbs every few days to be milled and turned into cards, to be turn into decks for the Darkmoon Faire. At the time there was no other way to gain their reputation. We used one of my guild banks to store all of our cards and already made decks. As each Faire drew closer we'd swap cards between us to finish off any decks we were close to completing. I really enjoyed the time I spent working on the Insane it taught me a lot. I had to check the Auction house daily, I was hemorrhaging so much gold on herbs that I had to look to other places to make gold to pay for them. I started to learn about my own professions, what to sell, how to sell it and when to sell it. I started reading gold blogs and became involved with some of the members of the gold making community and I'd like to think I've come out of it with a few friends. I especially enjoyed that I got to complete it with such an amazing friend who helped push me on when I felt like my milling finger was breaking or when I really didn't want to run Dire Maul for goblin reputation even just once more. Vad doesn't play WoW anymore but thankfully we're still in contact, I look at my title and smile from time to time.